Alongside, the annual exemption of £3000 can be used to make gifts to one or more people. There’s an added benefit if the allowance isn’t fully used in any tax year, as any remaining allowance can be carried forward for one tax year only. It cannot be combined with the small gift exemption for any one individual. And if giving to charity is important to you at Christmas, it’s worth knowing that gifts to charities and political parties will not count towards the total taxable value of your estate. You can also cut the Inheritance Tax rate on the rest of your estate from 40% to 36%, if you leave at least 10% of your 'net estate' to a charity. “These allowances are automatic, unlike the gifts from surplus income, but even so, it’s a good idea to track any gifts as it will help to ensure that you keep inside the rules, and makes it easier in any later dealings with HMRC,” said Katie Broadfield, Associate Director of London-based solicitors Docklands Solicitors. 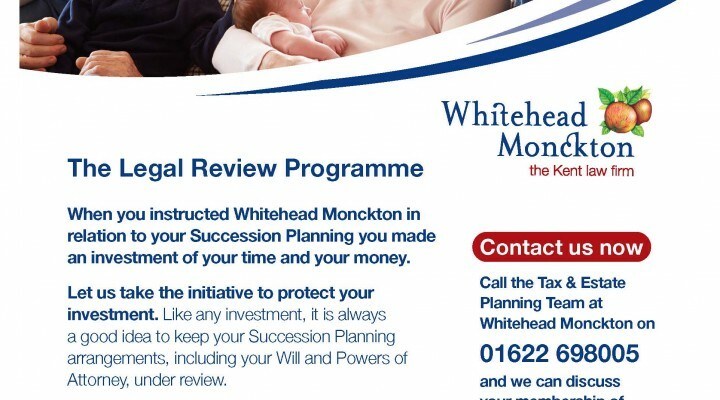 Said Katie: “Making gifting part of an annual review is a good idea as the rules do change from time to time, and it’s good practice to check back what you’ve done each year, just as it’s important to keep your will up to date as circumstances change. Here at Docklands Solicitors we offer our clients the opportunity to sign up to our Legal Review Programme so that we can help with this review exercise on an annual basis. For more information, please contact Katie on 020 7531 2991. And if you’ve reached the end of inspiration on gift ideas for your spouse or civil partner, it’s worth remembering that you can give them as much as you like during your lifetime, as long as they are living permanently in the UK.